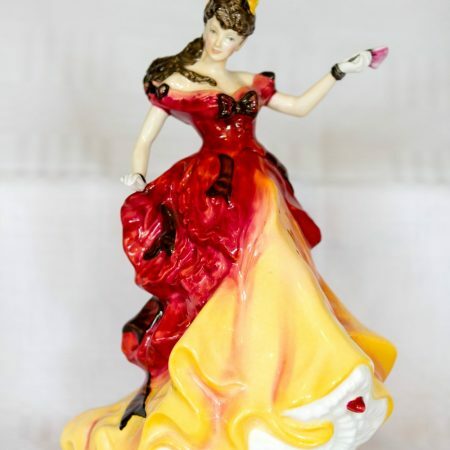 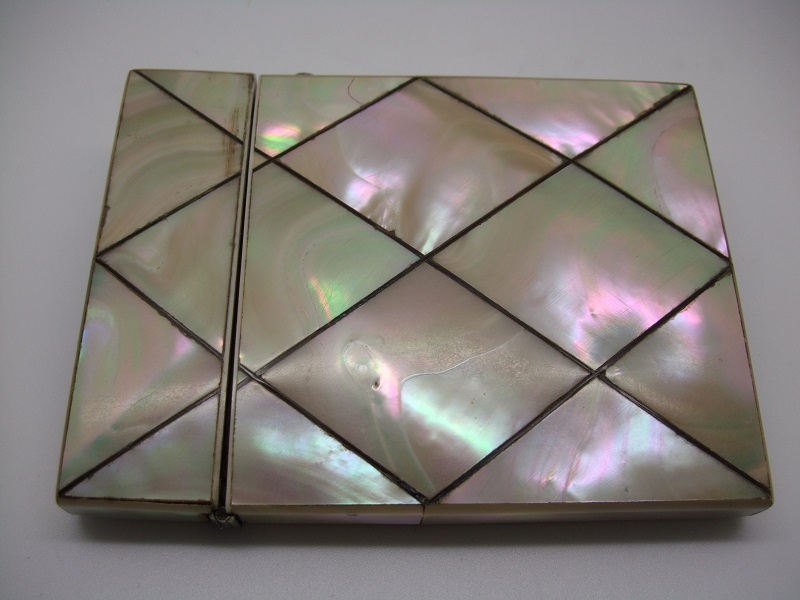 10.5 x 7.5 x 1cm. 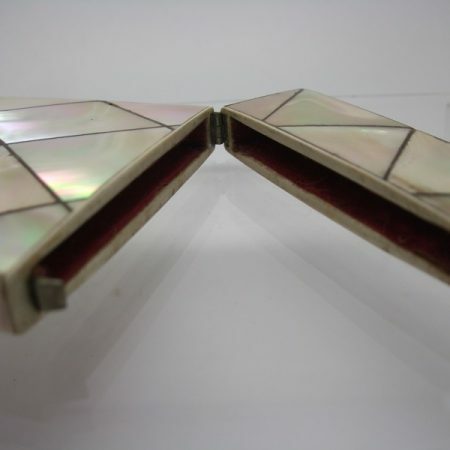 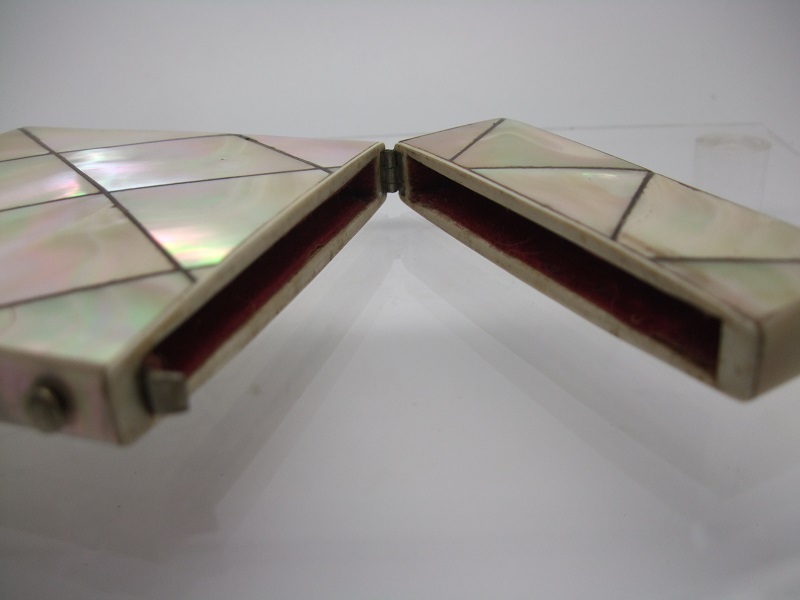 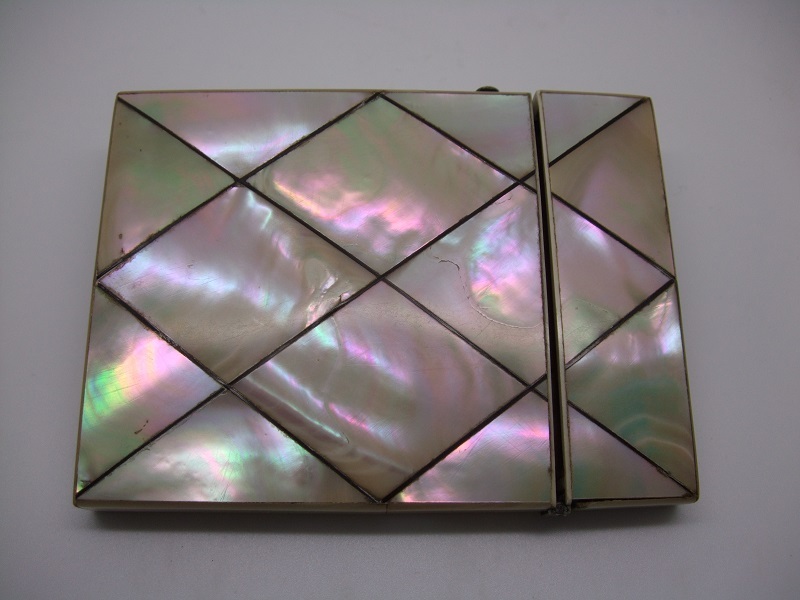 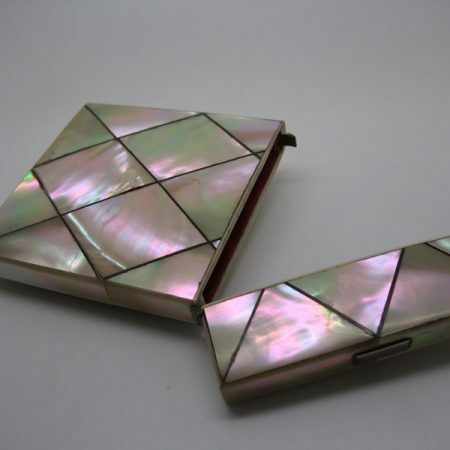 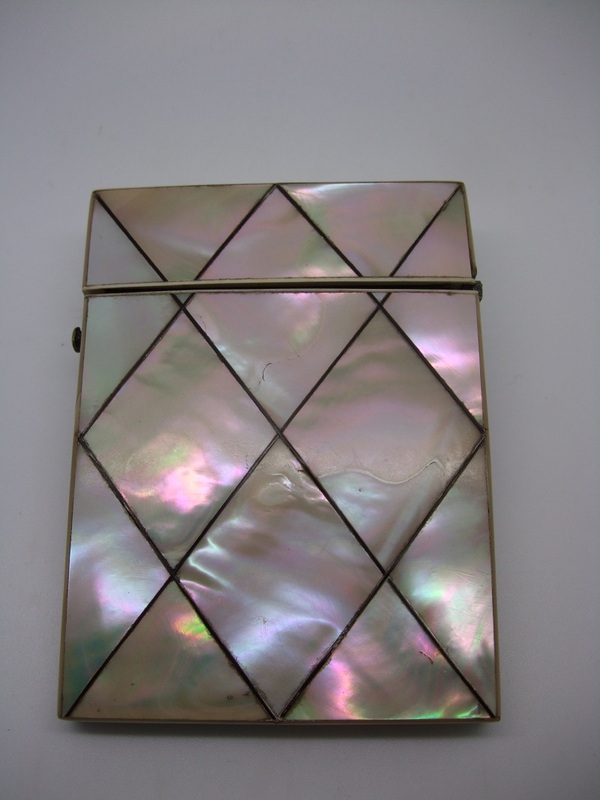 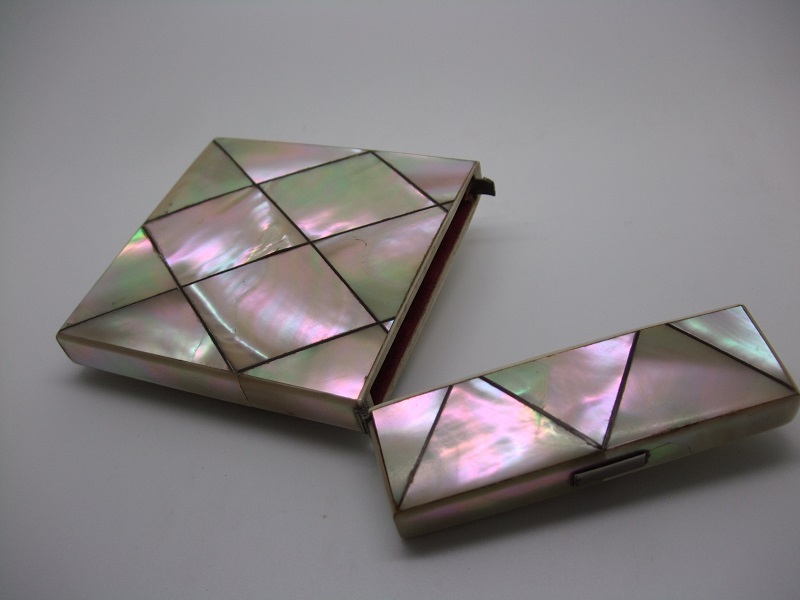 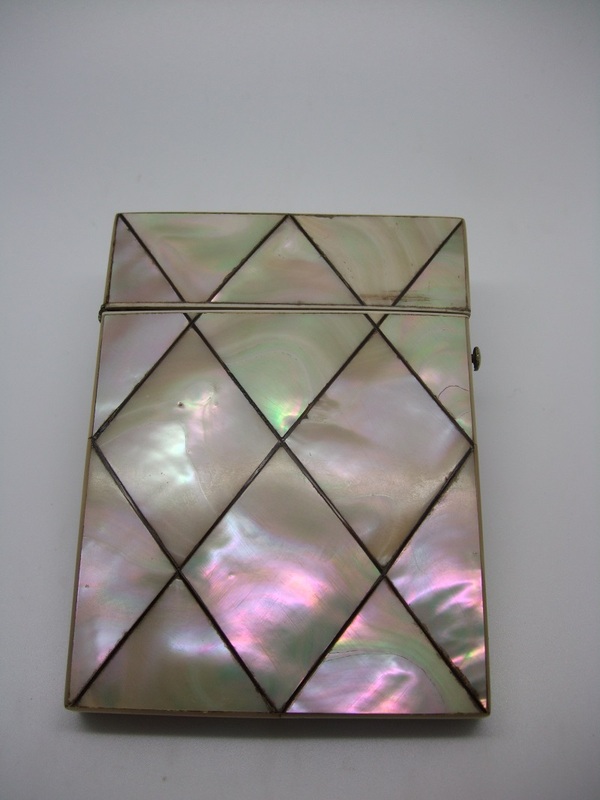 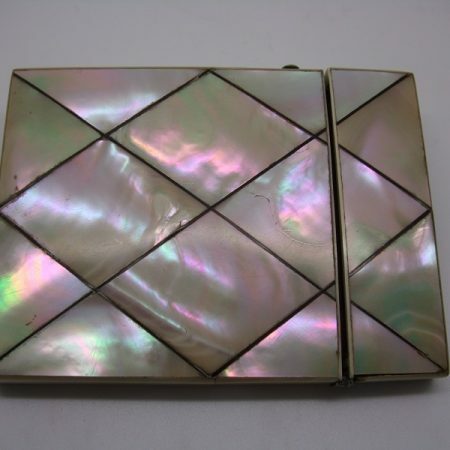 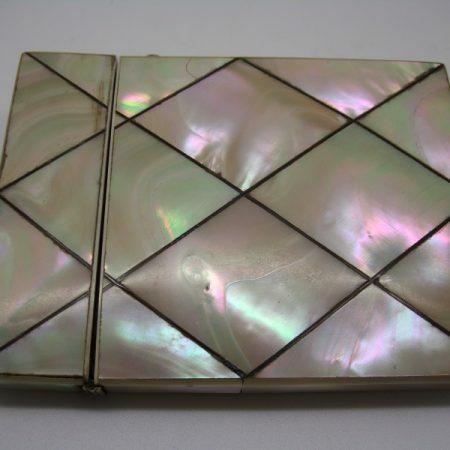 Elegant Art Deco Mother of Pearl calling card holder. 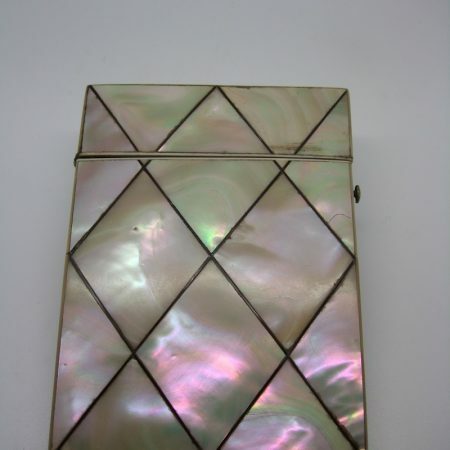 This beautiful case, red velvet lining intact.